Want to add efficiency and performance to your ride? Who Doesn't? 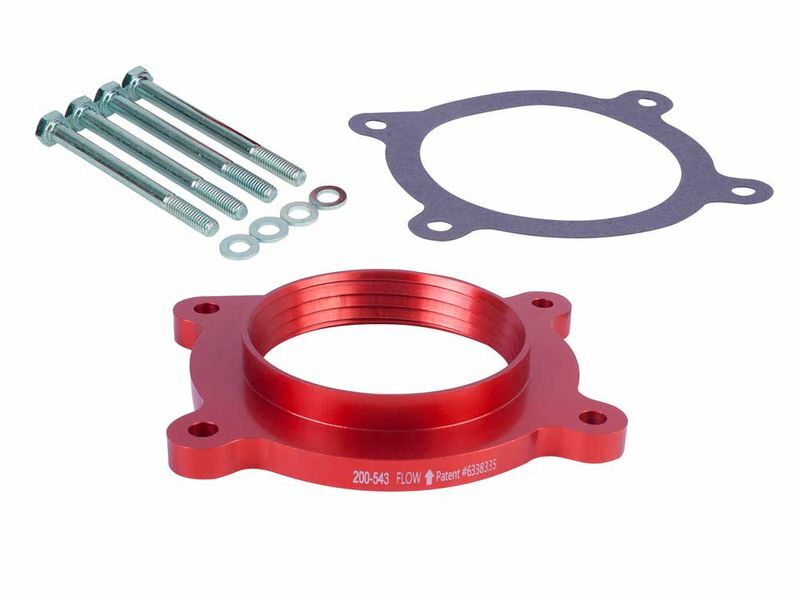 By adding an Airaid PowerAid throttle body spacer, your ride will spew out tremendous gains in torque as well as better fuel economy. These throttle body spacers from PowerAid are made out of high grade aluminum. The aircraft grade aluminum is corrosion resistant, durable and will stand the test of time. Throttle body kits include all hardware, gaskets and brackets which maintain factory component geometry. The unique design creates a cyclonic funnel of incoming air which organizes the passing air molecules and maintains velocity. When the high velocity air mixes with gas, it creates an amazingly combustible atmosphere, adding 800 to 2500 RPMs of torque gain. PowerAid throttle body spacers are made in the USA and offer a fast and easy mounting process. Poweraid throttle body spacers installation is simple and straightforward. For any questions or additional information, simply call us at 877-216-5446 or 701-253-5906.